Welcome to the third annual#Choctoberfest2017! This is going to be an epic week of recipes from over 70 bloggers with at least 200 recipes featuring, you guessed it Chocolate! 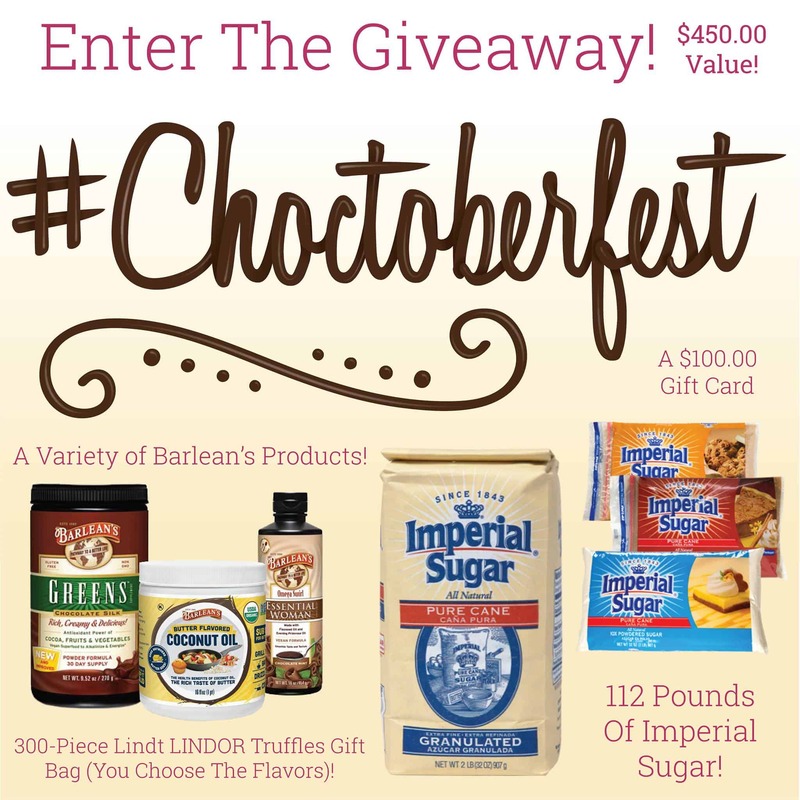 This is my first year participating in #Choctoberfest2017 and I am just thrilled! A big thank you to The PinterTest Kitchen for organizing this amazing week filled with recipes and giveaways! Instagram, Twitter, and Facebook to follow along. You can also check out our #Choctoberfest Pinterest board, where we post chocolate recipes all year long. Don’t forget to enter the giveaway and follow along all week for some amazing recipes! I am so excited for this week of chocolate deliciousness!